LINDA METCALF, PhD, LMFT, is a licensed marriage and family therapist and supervisor, licensed professional counselor and supervisor, and a certified school counselor. She has been in private practice over 20 years. 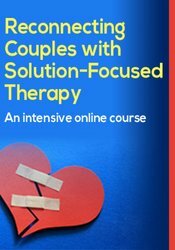 Dr. Metcalf is the author of nine books on Solution-Focused Therapy and one book on marriage and family therapy. She received her Bachelor of Arts degree in Education from Baylor University, her Master of Education degree in School Counseling from Texas Christian University, and her Doctorate degree in Marriage and Family Therapy from Texas Woman's University. She is a professor at Texas Wesleyan University, where she is director of the School Counseling Program. She has served as president of the Texas Association for Marriage and Family Therapy, been a board member of the American Association for Marriage and Family Therapy (A.A.M.F.T. ), and is the current president of A.A.M.F.T.